Hello folks! Here we are again to take a look at another preconstructed deck from the Ashes: Rise of the Phoenixborn base set. 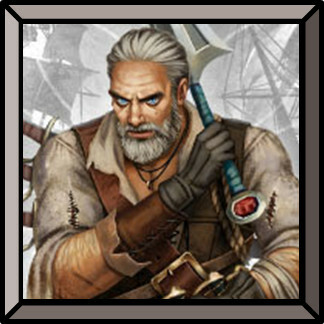 This time the spotlight is all on Coal Roarkwin, Phoenixborn of Rustwatch, his assortment of swords, knives and blades of any kind and shapes, and of course his Iron Men deck. Ready to rumble? Here we go! With a Life of only 15, Coal is by far the lightest Phoenixborn in the game. This means he cannot hope to outrun enemy Phoenixborn on the long distance, not without an adequate protection at least: he needs to take any opportunity he can to close the life gap between him and the enemy Phoenixborn as soon as possible. 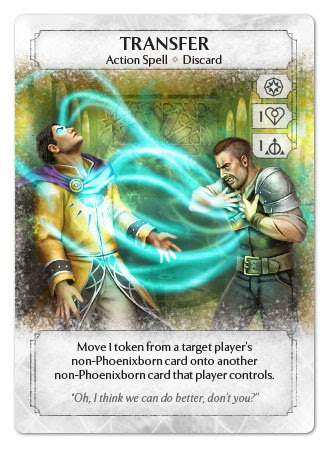 This is where his special ability, Slash, comes in to help: by spending a side action and discarding a card from your hand, you can have Coal deal 1 damage to a target unit, or – if the opponent has no units in play – to their Phoenixborn. As it costs no dice, this ability turns each card in your hand into damage, offering you a good way to get value from those cards that are otherwise going to sit dead in your hand at the end of the round. As the average life of a Phoenixborn is somewhere between 18 and 19, it just takes 4-5 slashes to even the odds against most enemies, as long as you can keep the board clean from units and slash directly at them. A Battlefield value of 6 is quite good, allowing you to field anything you need without worrying too much about cluttering the board, while Spellboard 5 is weird. On paper it looks good: a high value means more stuff you can put into play, but since Ready Spells usually require 2 turns each to be used (one action to play, one to activate), you’ll want them on the table as fast as possible; still, since in this deck the only ready spell capable of summoning units is the super-expensive Summon Iron Rhino, you’ll also want to drop some allies soon or you wouldn’t have any low- to medium-cost unit in play to defend you. In the end, how many Ready Spells to have into your First Five is up to you, but chances are you won’t be able to exploit Coal’s Spellboard value to its maximum each game, unless you draw 5+ cards each round, and manage to stretch the game long enough where multiple ready spells matter. Unsurprisingly, Coal is geared towards the two most direct and aggressive dice types of the game, which offer him damage to get rid of enemy units, thus facilitating the use of Slash against the enemy Phoenixborn, and the ability to get back allies (which form the bulk of Coal’s battle line) turn after turn. Be aware, though: Coal’s low life total means each time he goes for the Ceremonial Power he is likely going to take a serious hit so you should always take care when taking those Hammer Knights back from the discard pile. As for his card effects, Coal embodies the most straightforward aspects of both Ceremonial and Nature, with simple mechanics that focus on gaining combat superiority: mostly in additional ways to get extra damage, but also some defensive abilities that allow his units to stay in play longer (so they can dish out some more damage). 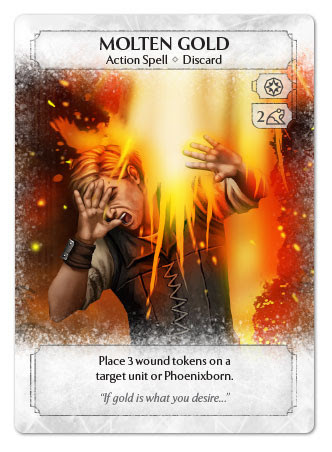 Coal is also unique in the Phoenixborn spectrum, so far, as three of his cards (four, if you include the activated effect of Summon Iron Rhino) only require basic dice to be played. 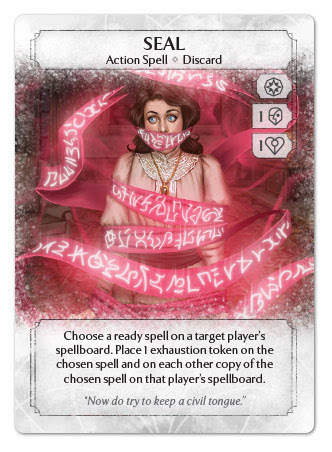 This gives you a lot of flexibility in choosing which dice to spend and makes you somewhat less reliant on meditation, but also balances out the need for two kinds of magic at once on three of his other cards. Coal’s unique card is One Hundred Blades, an Action Spell that deals 1 damage to each enemy unit in play (regardless of the opponent controlling it, which makes it huge in multiplayer) and 1 damage to a single target Phoenixborn. All for the cost of 2 basic dice and a Main Action. As it replaces itself by making you draw a card, you could consider it a better version of Mist Typhoon, so any consideration I made about that card in my Aradel’s article can be applied here as well. One Hundred Blades is cost efficient as long as you can hit at least an enemy unit, and by making you damage multiple targets at once by spending any two dice, it’s extremely action efficient too. It also combines quite well with Coal’s Phoenixborn ability, as it can, in the right situations, clear the board and create the right window for a direct Slash at the enemy Phoenixborn. Coal’s high Spellboard value makes him the Phoenixborn with the largest array of Ready Spells in the base game, each one bringing to the table something different, from extra damage to dice recovery, but all contributing to Coal’s strategy of hitting the enemy with any means possible, and give them no quarter. I’ll be honest about it: the single most expensive spell in the game, Summon Iron Rhino is a problematic card to say the least. It’s not utterly bad, but it has a lot of issues that must be overcome in order for it to be useful, which means you will generally find other cheaper and/or more reliable alternatives. Let’s check it out: it costs one Nature dice to play, and then six basic to activate in order to bring a 5/4 unit with no abilities to the board. That’s right, seven dice, 70% of what you have available each round. Sure, you can reduce its activation cost by focusing it, but still the first Rhino you are summoning is going to cost you 7 no matter what, so the discount is only affecting the second summoning and beyond. 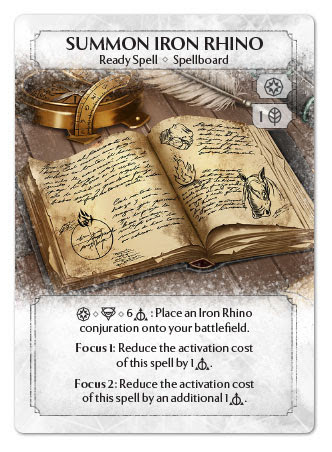 It can be OK if you manage to focus the ready spell twice, as you will then be able to put into play an Iron Rhino after the other for 4 dice each, but you need time – something Coal will strive to get, given his low Life – in order to get to that point, you need to draw those two additional books without any card draw effect in the deck besides One Hundred Blades, and then more time to be able to exploit that strategy. Then, assuming you manage to pull out 1 or even 2 Rhinos per round, you still have to face the problem posed by low-cost control effects, like Fear, Regress, Steady Gaze or Blood Chains, or by any unit that could block the Rhino with ease: in short, your opponent will almost always spend less resource to neutralize an Iron Rhino than those you spent to play it in the first place, making it an overall cost-inefficient unit, at least in this deck. 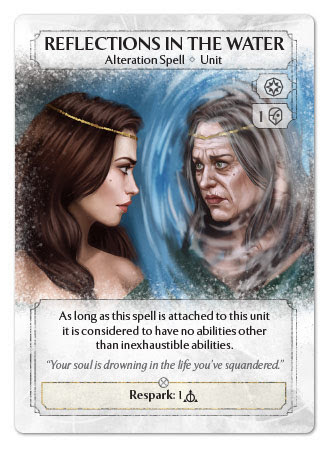 That’s not to say it’s an useless card, as it can still put some pressure to your opponent in the right situations, but still it requires a lot to work around in order to get some value out of it. You have been warned. Oh, as a personal note, despite its massive disadvantages, I somehow love this card. I hope in the future new card releases could make it viable for constructed play. Not necessarily in a tournament scene, but I’d be glad to have a chance to create decks that may play around it. Ok, now that we have dealt with the Iron Rhino, let’s see what else Coal brings to the game, because some of these cards are super cool in my opinion. The first one is Expand Energy, a Ready Spell costing 1 Ceremonial Power dice that can be activated once per round as a Main Action in order to take an exhausted die, re-roll it and put it back to your active pool. 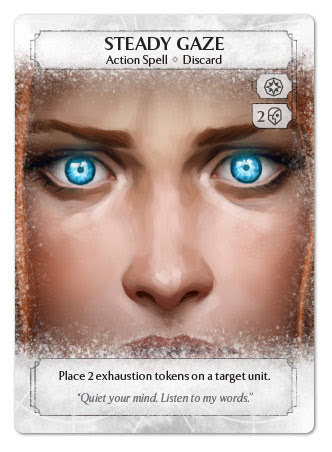 Having more resources available each turn is always good, and this card is basically enters play for free, repaying itself in the same round you play it and becoming dice-efficient from the next one. It requires you to be patient: the longer the game drags out, the most you can get out of it, which is – yet again – something that Coal wants to achieve, but goes against his low Life total. Sometimes though, even getting an extra die for 1 or 2 rounds is enough to make a difference, so you shouldn’t only look at it by thinking about very long term plans. 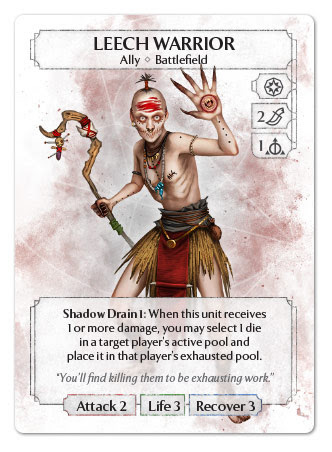 Two things I like a lot about this card are its ability to “fix” your dice pool, allowing you to get the dice type you need in a given situation, and most importantly, the fact that it somewhat acts as a counter to “heavy exhaust” decks (i.e. decks that exploit the illusion dice power and other shenanigans to make you exhaust a lot of dice and thus limit your play options). Chant of Revenge is another extremely useful card in Coal’s deck (and in many others in constructed play). It contributes to Coal’s overall aggressive strategy by providing a cheap source of direct damage on the enemy Phoenixborn. 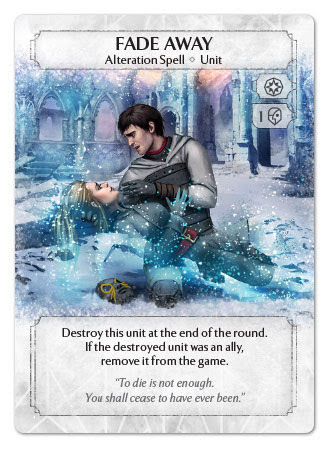 Fine, you’ll need a unit you control to be destroyed in order to do that, but that’s something that’s going to happen a lot in this game, so you shouldn’t worry about finding ways to trigger its ability, especially when you have access to a cheap, disposable ally like the Anchornaut, which can support this card again and again. 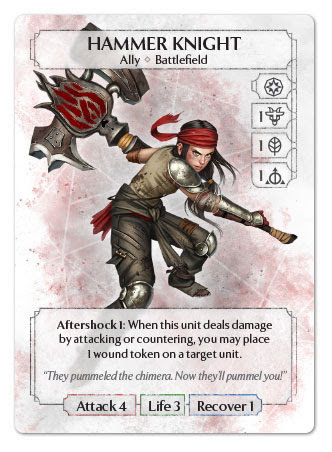 As far as economy goes, this card basically means you pay 1 die now in order to deal 1 or more damage later. It is generally useful and cost-efficient for a single use, and gets even more and more valuable the longer the game goes and the more you can trigger it. Yet again, wee see something that gets more utility with time, and reinforces this tension between Coal’s need to close the game as quickly as possible, and extending it long enough to get in a position where this can be accomplished easily. With multiple Chants of Revenge in play, you can put your opponent in a tight spot, as you’ll be able to punish them for attacking you or your units. And if they don’t, the better: you’ll get extra time to slash and deal some more damage, and remember that you can use your Nature Power, the Anchornaut’s Throw or the Hammer Knight‘s Aftershock on any player’s unit, so you can trigger the chant yourself by destroy your own units if you want to. The first of Coal’s three Nature/Ceremonial cards, Strengthen lets you spend a side action to increase a unit’s attack value by 2 (or by 3 if the spell is focused twice). This is a pretty useful spell if you are aggressive, especially in the mid-to-late game when it can help you get the damage you need to finish off the enemy before Coal’s low life total becomes an issue. As with Chant of Revenge, the more rounds you use it, the more cost-efficient it becomes. 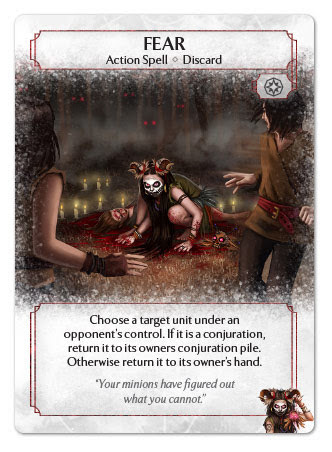 The issue here is that you need to dedicate a whole turn to this card (Side Action: strengthen a unit, Main Action: attack) so you need to set the stage up correctly to create the right opportunity to use it, whereas other side actions like Slash or the Nature dice Power will offer you more flexibility with the timing. If you have multiple copies of Strengthen in your spellboard, the extra side actions granted by the Iron Worker‘s Overtime ability can allow you to deliver some very hard hits. 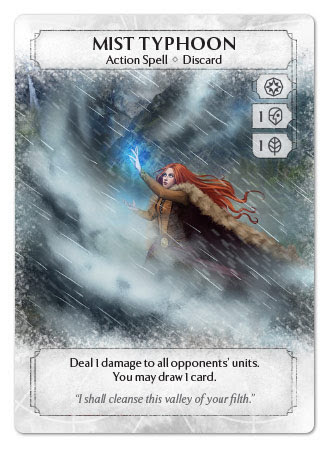 The sheer threat of incoming damage could make your opponent think twice about leaving openings in their ranks, which could – again – buy you some time to build up your damaging engine. 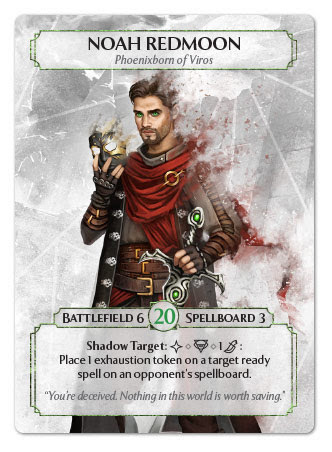 On the other hand you could also benefit from Strengthen’s attack bonus to destroy enemy units and then slash directly at the enemy Phoenixborn when their battlefield is empty. The final ready spell in Coal’s arsenal, Protect, goes in a totally different direction, providing a way to… err… protect your own units from damage. This can allow Coal to obtain battlefield superiority by turning disadvantageous trades in his favor. 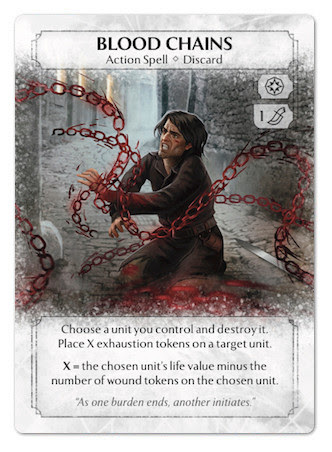 What I like about this card is that you can choose how much damage you want to prevent, so you can adapt to the situation and win trades by the amount you just need. 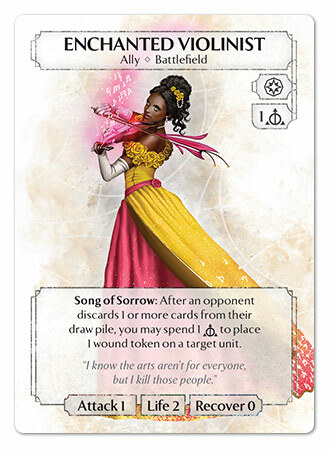 When playing it, please bear in mind two important rules: (1) Protect only prevent damage, so it can’t do much against wound-placement effects like Molten Gold or the Enchanted Violinist‘s Song of Sorrow. (2) You don’t need to exhaust Protect in order to use its ability, but if it gets exhausted somehow (i.e. through Seal, Transfer or Noah’s Shadow Target ability) its non-inexhaustible text becomes blanked, and you can’t use it. 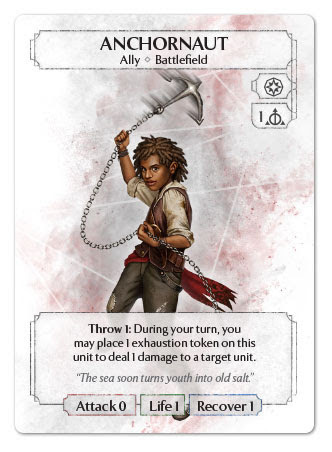 Though filling different roles, Coal’s three allies share some common elements: they all are quite cost-efficient, they can both deal damage and defend pretty well, and they can – each in their own way – help their Phoenixborn dish out extra damage. Let’s talk about one of the most renowned units in the game: the Hammer Knight. She is the paragon of unit efficiency: 4 attack, 3 life, 1 recover for three dice (a Ceremonial Power, a Nature Class and a basic). And an extra damaging ability that makes it easier for you to get through the enemy ranks without running the risk of triggering nasty stuff like the Living Doll‘s or the Leech Warrior‘s abilities. Being an ally, she can enter play and attack 1 turn faster than a conjured unit. This tempo advantage, and her high damage allows you to put a lot of pressure on the opponent in the early stages of the match. 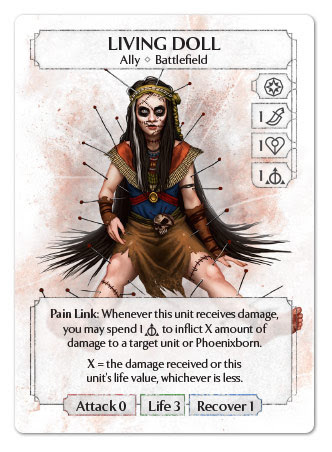 If you manage to get her through once, you have pretty much evened out Coal’s life disadvantage against most Phoenixborn, and you have already dealt more damage than you spent dice for. Attack twice with a Hammer Knight and you’ll have gained much much more than you paid for, while your opponent’s health would almost be reduced by half… what’s not to love about her? Of course, being a really strong unit, she’ll have a target on her as big as her hammer, but as Coal you’ll get some tools to make her stay on your battlefield a little longer: Protect her from damage, increase her life with Spiked Armor and use all your damage dealing shenanigans to get rid of enemy units (which is something you would be doing anyway, so it’s a double gain). Just be aware of those very same effects that can hurt your Iron Rhino plays, for they work quite as well against the Hammer Knight too: Fear, Regress, Steady Gaze, Blood Chains, all can be pose a quite cheap solution to your Knight, and be aware of Fade Away and of Maeoni’s Silver Snakes that would remove your Hammer Knights from the game preventing you to recover them with Ceremonial dice. Speaking of which: yes, it would cost you 4 life, which is a lot for Coal, but it’s something you shouldn’t be afraid to do when needed, especially if you are ahead and can even out the damage loss immediately with a well-placed attack. 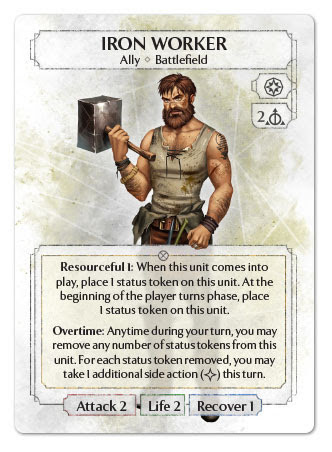 Continuing the series of people wielding disproportionately big hammers (here on a smaller scale), the Iron Worker is a solid unit which mixes good stats (2 attack and 2 life for 2 basic dice is quite nice, 1 recovery is an added bonus that never hurts) and an incredibly useful support ability that allows you to get an extra side action once per round, or even more, if you hold on to them and manage to keep the Iron Worker alive. What can you do with bonus side actions? To begin with, you can slash like a madman, dishing out lots of damage. Or you could meditate and use the just-gained power dice without running the risk of seeing it gone to an Illusion dice. Or – as I have already hinted – you could also pack multiple activations of Strengthen onto a single unit for a big swing (provided the opponent has no way to Redirect the attack, of course). All this, while the Iron Worker can hit and/or defend, as its abilities are inexhaustible – which also makes him immune to negation effects like Choke and Reflections in the Water. Last, but definitely not for usefulness, the young Anchornaut. 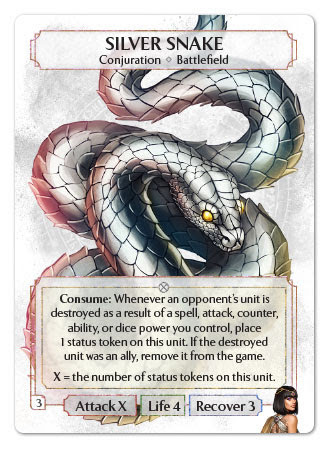 One of the cheapest units in the game, only costing 1 basic die to play, he is quite versatile: you can use it either as a chump blocker (combined with Chant of Revenge for even more nastiness), a cheap damage dealer, or – due to the potentially infinite recursion with no life loss involved via the Ceremonial power – as a sacrificial card for Coal’s Slash. If you have time and dice to spend – and here Expand Energy and the Iron Worker can give you a big hand – you could discard him away to Slash and get it back multiple times in the same round. While on the battlefield, he is extremely vulnerable to almost any damaging effect, from Nature dice to Mist Typhoon, so you’ll probably want to hang on to your Anchornaut and play him when it’s relatively safe, or to use his Throw ability as soon as it gets into play, otherwise his utility drops a lot. 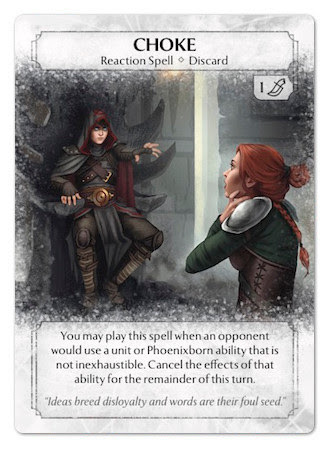 A note about timing: you can use the Throw ability any time during your turn without spending an action, but you can’t do it while you are resolving another card’s ability: once it has been triggered, it must be fully resolved before you become able to use Throw again. Note however that while you launch an attack, you can trigger Throw at any time between any of the steps of the attack resolution described in the rulebook (but not while resolving any of those steps). And finally, we get to Coal’s only Alteration spell, Spiked Armor. 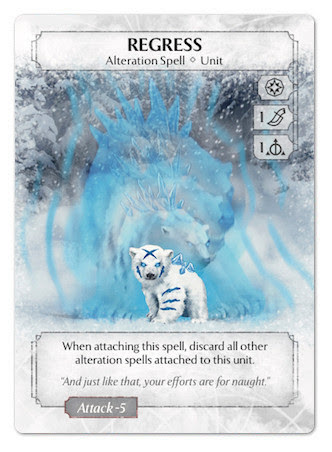 For 1 Nature and 1 basic die, this grants the attached unit a +2 Life modifier and the ability to deal 2 damage to each enemy unit that is attacking or countering it. This can work as a deterrent to prevent enemies from attacking or countering your Hammer Knight, and is a good way to get some extra damage in on enemy units, especially in defense as it doesn’t require the attached unit to actively counter, but it’s a bit costly and – too bad – it doesn’t have respark, so once it’s gone, it’s gone. 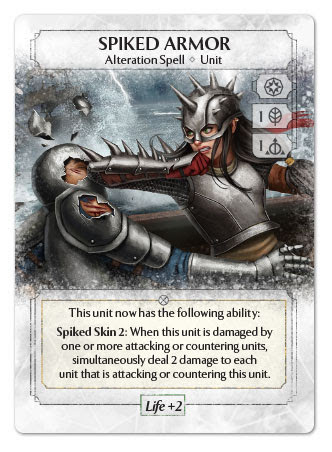 Note that Spiked Armor grants it’s ability to the unit it is attached to, so it’s the unit that deals damage from Spiked Skin, not the spell. 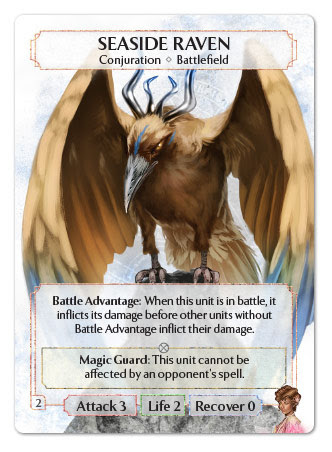 This is important for interactions with effects like the Seaside Raven‘s Magic Guard ability, which only prevents the Raven from being affected by spells, thus allowing the unit with Spiked Armor to deal 2 damage back to the Raven even if the latter attacks first due to its Battle Advantage. High brawling abilities due to relatively good allies (Hammer Knight is one of the best units in the game so far) and a combination of damage dealing and protective tools. Coal’s Phoenixborn ability Slash, can be used multiple times per round, potentially turning each card in hand can into damage on the enemy Phoenixborn or on their units. When reaching critical mass, this deck can dish out a lot of damage in a short amount of time, trampling over any defense the opponent might put out. 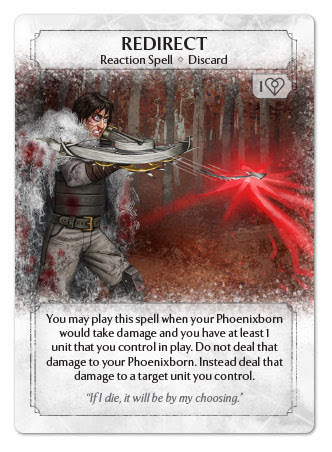 Coal has the lowest life total of the Phoenixborn cast: he struggles to keep pace against opponents with a high damage output, especially direct damage abilities and effects. His deck requires some build-up to fully reach its high damage cap; unless he is able to delay the opponent’s strategy, he won’t be able to express his full potential. Besides the Anchornaut, Coal lacks cheap ways to continuously refill his battlefield: Summon Iron Rhino is very expensive, and only becomes useful in the very late game, while recurring the Hammer Knight comes with a very high life cost that Coal can’t light-heartedly afford. And that’s all. We are getting near the end, only one more Phoenixborn from the base set remains to be examined now: Saria Guideman, Phoenixborn of Lighthouse Bay and her mind-wracking Cloudsea Siren deck. For a new player, what do you discard away for Slash in the first round? Do you Slash anything away? If so, why did you pick it in your FF? Guy, I would want to draw cards to slash personally. I’d hope I had enough card draw to slash whatever, and I’d be discarding things like Anchornaught or Fire Archer that can recur with ceremonial dice.